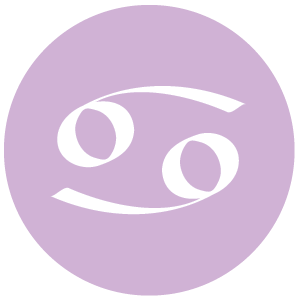 The Moon is in Cancer all day (until Sunday, September 25th, at 9:48 AM). The Moon is void from 9:41 PM forward (until 9:48 AM tomorrow morning). 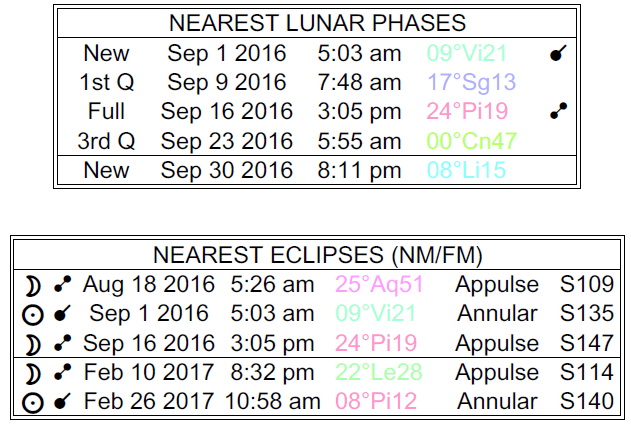 A Last Quarter Moon occurred yesterday, and a New Moon will occur on the 30th. 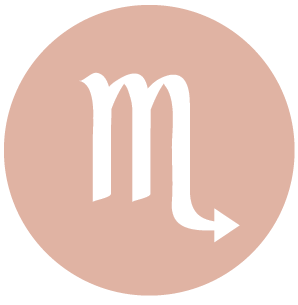 Venus spends its first full day in Scorpio (Venus is in Scorpio from September 23-October 18). 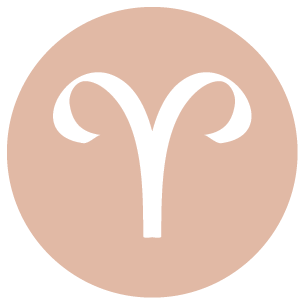 While you may have a hard time juggling your outside responsibilities with personal time and family matters today, dear Aries, you’re in a good position to better understand your basic needs and feelings. Communicating your feelings comes more easily now, and this will get even better in the coming days. You’re inclined to assert your independence, sometimes in disruptive ways, but you’re also quite focused on making life better on the home front. 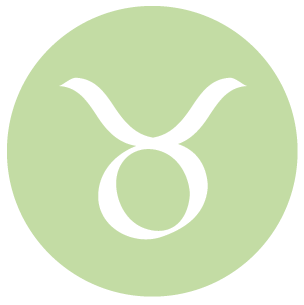 This is a good day for connecting with others, dear Taurus, and for communicating. Communications have taken a hit in recent weeks, and now you’re in a much better position to get the right message across. You can be a good arbitrator now as you see many sides of a story. Today is a potentially active day for self-expression and creative thinking. While you’re likely to disagree on some fundamental points with someone close to you today, that doesn’t stop you from enjoying yourself. Good energy is with you later today and tomorrow for opportunities through or for work. 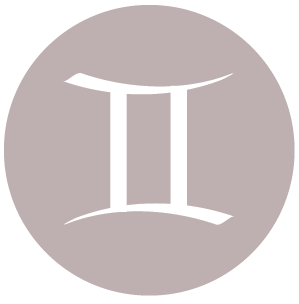 Your focus is practical today, dear Gemini, and you are in a good position to assess your finances and working position, even if your feelings are a little strong on these matters. Conversations are more useful and enjoyable these days, and this is set to increase. You might enjoy an enlightening conversation with family or a loved one now. Later today and tomorrow as well, look for opportunities to create, express yourself, and even to find love. You’re feeling far more optimistic than you have been in recent weeks. New channels for expressing yourself are opening up. 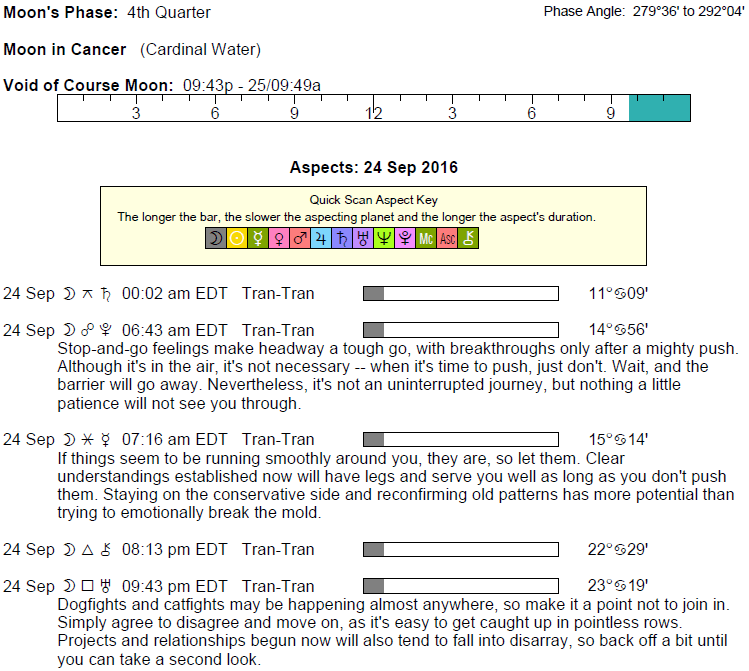 The Moon is in your sign all day, dear Cancer, and the general mood of the day matches your natural disposition. This position can serve to enhance or exaggerate emotions – either way, you’re in the position to better understand what’s been going on inside of you. However, you might also put too much energy into fulfilling a desire of the moment. Try to distinguish between a passing fancy and a true need. This can be a good time for leaning on friends or for getting something off your chest. You seem to stimulate some opposition or even a bit of controversy now, but overall, you’re likely to enjoy the day. 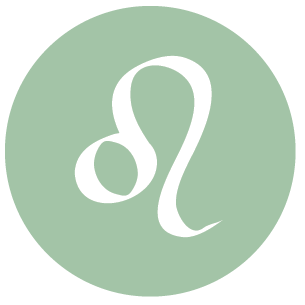 Plans are likely coming together in your business or financial life now and in the coming weeks, dear Leo, and you are feeling considerably more hopeful and confident about getting your affairs in order. You’re also bound to discover plenty of distractions in the form of personal interests, studies, and ways to connect and communicate with others! Life is certainly busy for you right now, and you would benefit from giving extra attention to time management. There is a withdrawn quality to you today. You can take benefit from some time alone or relaxing, healing activities enjoyed with someone who understands your need for peace and quiet. 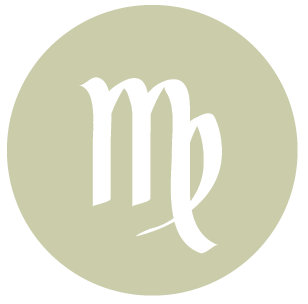 The day’s energies flow rather smoothly, dear Virgo, when it comes to expressing your feelings, opinions, and needs. There can be some difficulty knowing whether you want to be close to someone, or if you require a little space. In truth, you could feel quite divided on the matter! While your focus is likely to be rather sociable today, you’re increasingly interested in your practical affairs, and you may very well find it enjoyable to get them in order. Opportunities to expand a business or to work towards a cherished goal may emerge today or tomorrow as the Sun and Jupiter move towards an alignment in your house of money and values. 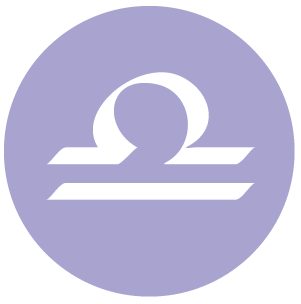 You’re finding it much easier to think through problems and come to definite conclusions now, dear Libra, and this is set to improve further in the coming week. Today’s energies are pleasing for taking an inventory of your responsibilities. You readily take the lead and others tend to let you do your own thing as you radiate competence and confidence. While you continue to keep some plans to yourself, and this is a good strategy, you include others more readily rather than alienate them. Later today and tomorrow are strong for discovering new interests and finding satisfying channels for expressing your creativity. The Moon moves in harmony with your sign today, dear Scorpio, encouraging natural self-expression. You’re drawn to activities, people, and situations that serve you well. You are also finding it far easier to communicate with people you like, and you’re connecting with your own needs for happiness, whether this is about a cause, a relationship, or personal interest. Even so, the coming days are powerful for work in relative solitude or for private, healing, and quiet activities that soothe the soul, and you’re likely to begin feeling the need to get away towards the end of today and into tomorrow. 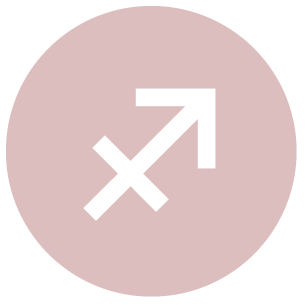 You can have some ups and downs today if you’re not quite sure whether you want more or less closeness with someone, dear Sagittarius. You may be giving off mixed signals as well, but it’s entirely possible that you’re receiving conflicting messages from others and that’s why you are feeling a little off. Try to focus on the areas of your life that are working for you and your feelings will more naturally sort out. Later today and tomorrow, you’re in a fabulous position for connecting with a friend or a goal that excites you. You’re engaged, interested, and feeling very hopeful about the future. 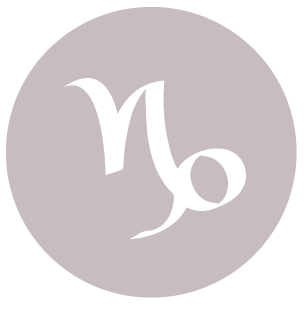 You’re particularly committed to making your relationships work today, dear Capricorn, although you should watch for a small tendency to want to control outcomes this morning, or to respond to your fears rather than simply enjoy your feelings of happiness about someone. Some level of chaos on the home front or within yourself can also interfere with your enjoyment at times today, but awareness of rebellious feelings will help you to overcome them. Your pleasure in devising long-term goals and working towards them is growing and will continue to do so even further in the coming days. Later today and tomorrow are strong for identifying possible opportunities to advance your professional or social goals. 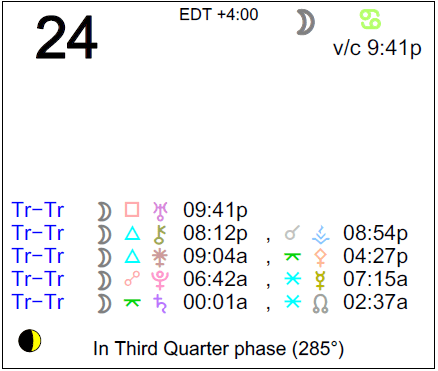 There is a practical but enjoyable focus today, dear Aquarius, and you can accomplish a lot with the right attitude. Plans and projects are moving forward, and this feels good. You’re coming out of a state of limbo. You find it especially easy these days to throw yourself into exciting activities. Your mind and heart are engaged. You might also discover that communication blocks are falling away, and the lines of communication are opening with key people in your life now. 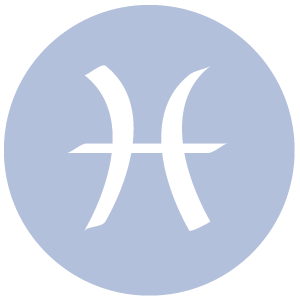 While there is much focus on your private world and the more serious side of life and your relationships these days, dear Pisces, today you’re in need of lighthearted fun. The playful side of your nature wants some time in the sun. You’re dealing with others with much warmth today, and this scores you extra brownie points. It doesn’t hurt to be a little more expressive and perhaps dramatic today. Communications are improving and far more enjoyable than they have been with key people in your life. 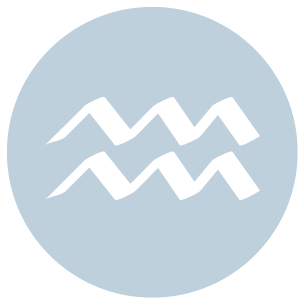 If Your Birthday is September 24th, If Today is Your Birthday full horoscope here. This is a brief period of uncertainty, guilt, fear of not performing well, fear of rejection, a feeling that others will not support or fulfill our needs/desires, or a sense that something can’t be achieved. Patience is a virtue right now. Otherwise, we might succumb to feelings of frustration and sadness. All good things come to those who wait. We can gain strength through others or our relationships, and we are especially comfortable in one-on-one situations. Sun 29° Aries 41' 44"
Moon 07° Scorpio 36' 54"
Mercury 03° Aries 33' 40"
Venus 29° Pisces 15' 24"
Mars 13° Gemini 02' 27"
Uranus 02° Taurus 21' 41"
Neptune 17° Pisces 42' 58"
Chiron 03° Aries 28' 28"